Most of the news stories featured in the U.S. and western press focus on crises in Africa. At Exploring Africa, we are dedicated to helping educators and students obtain a more balanced perspective on Africa. However, we do not suggest that educators and students ignore crises in Africa, but that they address these crises through a more thorough, balanced, and nuanced investigation than the western press normally offers its readers and viewers. We offer the following suggestions for investigating and addressing African crises in your classrooms. The global news and entertainment media cover Africa less comprehensively than any other region of the world. However, when they do cover Africa, the norm is to present their global viewers (CNN reaches every corner of the globe) and readers with reporting on crises in Africa: civil wars, political decay, poverty, HIV-AIDS pandemic, etc. The same media unfortunately pays very little attention to positive stories of political stability, economic growth, strengthening civil society, and human creativity and resilience. There are, of course, political, economic, social, and health crises in various parts of Africa crises that should not be ignored or hidden. A central issue for educators is how to address these crises fairly, accurately, adequately, and effectively. As educators, our aim is to present our students with adequate, objective, and balanced knowledge sources to help them develop a comprehensive understanding of the topic or issue under consideration. In studying other societies and cultures through the social studies/sciences and humanities it is particularly important to provide students with a thorough contextual grounding through which they gain a comprehensive understanding of the cultures and societies under study. Unfortunately, with a few notable exceptions, the study of Africa is not thorough and comprehensive. Students leave our schools and colleges with an inadequate and often inaccurate understanding of Africa. Indeed, much of what they (and we) “know” about Africa is all too often informed by representations created by U.S. dominated news and entertainment media that frame Africa in terms of chronic crises: Africa as the Hopeless Continent. Few US print or network journalists are permanently stationed in Africa. Reporters often go to Africa only when there is a crisis that is perceived to be worth covering. This is quite similar to what is referred to in the U.S. as the Six PM News Syndrome, which often highlights local crime: if it bleeds, it leads. 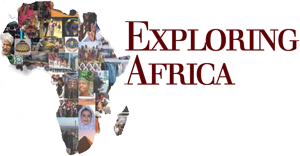 Consequently, journalists assigned to cover these stories arrive in Africa with little or no prior experience in Africa (expect for, perhaps, a two-week stint covering an earlier crisis), and little knowledge of the complexities of African history, politics, economics, and cultures to enhance their understanding of the crisis they are attempting to cover. Very few if any US correspondents have any knowledge of the indigenous languages of the areas, which they are assigned to cover. David Gergen, who worked in both the Reagan and Clinton White Houses referred to this type of journalism as parachute journalism. Currently no U.S. network (not even CNN) has a permanent correspondent in Africa (outside of Egypt). The US print media has fewer correspondents in Africa (again outside of Egypt) than in any other continent in the world. A recent survey of the print media found that only ten percent of the international coverage in US media was on Africa. Of that ten percent, over 50 percent focused on crises. By contrast, less than 20 percent of the stories on Europe, which is far more comprehensively covered to begin with, focus on crises crime, terrorism, and political crises. With limited knowledge and experience in Africa, how do journalists bring understanding of the crisis they are covering to their readers or viewers? They are forced to resort to stereotypes, generalizations, and over-used explanatory constructs. ++ TRIBALISM: (African societies and cultures are “traditional” or pre-modern). In nearly every news story on an African crisis there is reference to tribalism as a key causal component of the crisis. Tribalism as a concept or purported reality is not interrogated by the journalists that use the term. As commonly used the term carries with it certain commonly held perceptions: tribal loyalties are primordial, deeply historical embedded in the psychic and behavior of all Africans, individually and as a groups; inability to overcome tribal loyalties result in inevitable, and often bloody, conflict. ++ POLITICAL CORRUPTION, AUTHORITARIANISM, and MISMANAGEMENT: This explanatory construct asserts that African political regimes are for the most part corrupt and mismanaged. Again, there is little investigation of this construct by the U.S. news media, other than to offer that corruption and big man rule may be a pre-modern holdover from what was the supposed norm in pre-colonial African societies. +++ OVER-POPULATION AND UNSCIENTIFIC AGRICULTURE RESULTING IN ENVIRONMENTAL DEGRADATION & POVERTY: hunger and famine in Africa are widely reported being the result of either (i) the harsh reality and inevitability of the geography and climate of Africa, and/or (ii) overpopulation and un-scientific agricultural practices. Both explanations are offered as strong factual possibilities with little analysis. Moreover, the impact of globalization, trade policies, and global warming on agricultural production and the distribution of food in impacted areas, are not explored. ++ AFRICA -THE HOPELESS CONTINENT: At times, stories of African crises are offered with little or no explanation. Rather, the underlying assumption draws on the widely held image/representation that Africa is the hopeless continent, as represented on the cover of the Economist magazine a few years ago. Set high standards of objectivity for yourself and for your students. Do not be satisfied with news stories that continue to use the standard explanatory constructs in analyzing a story. Use the same standards of objectivity and demand the same rigor that you expect from an analysis of a current issue in the U.S.
Seek trust-worthy information and documentation on the issue under consideration prior to engaging your students in a serious discussion of the issue. Just as you would do for the study of a current events issue in the U.S., try to find (or have your students seek out) alternative perspectives of the story/crisis. When teaching a unit on Africa do not deal with crises or severe problems unless you also deal with problems/crises when you teach about other regions of the world particularly when you teach about U.S. history, civics, or economics. Analysis of current events should be normal part of your of the social studies classroom, not just when teaching about Africa or troubled regions such as the Middle East. When addressing a crisis in Africa do not do so in isolation from the larger geographic, political, economic, and historical context in which the crisis is taking place. Crises are not natural or systemic to African societies (or to any other society in the world), and should not be treated as such. Political Systems new borders; creation or enhancement of ethnicity (heritage of indirect rule and divide and rule); proscription of political participation/absence of democratic traditions and institutions; weak state structures and capacity; over-development of security institutions (police, army). Economic Systems : structures and patterns of colonial production that emphasized extraction (agricultural and mining) of raw materials for export; mono-cropping (no diversification); little or no investment in domestic infrastructure; exploited cheap, at times forced labor; distorted economic growth. Social Systems: new patterns of stratification (ethnic, urban-rural) male labor migration, degradation of family structure, etc. B) IMPACT OF THE COLD WAR : rivalry between “Eastern” and “Western” blocs 1960-1990 resulted in the establishment of autocratic regimes (Congo/Zaire, Uganda, Ethiopia, Somalia) and contributed to horrendous civil wars (Congo/Zaire, Angola, Mozambique, and Sudan) and inter-nation warfare (Ethiopia/Somalia); and more indirectly to the current conflict in the Congo and Great Lakes region of East-Central Africa. C) IMPACT OF GLOBALIZATION AND NEW WORLD ECONOMIC ORDER: the end of the cold war contributed to the peripheralization of Africa. In the economic arena: dramatic decline in price for raw materials exported from Africa (exception of petroleum, gold, diamonds) combined with a decline in investments in Africa and a dramatic increase in the price of industrial imports. In the political arena, with the end of the cold war Africa, lost its strategic importance to U.S., resulting in an un-willingness to be involved in African crises. D) NATURE OF AFRICAN CIVIL SOCIETY: Most African nations are experiencing a process of building new social institutions based on common interests in response to the harsh realities of post-colonial political economies. However, this process is not smooth it is often contentious. E) AFRICAN STATES AND REGIMES ARE AT LEAST PARTIALLY AUTONOMOUS : While post-colonial African States and societies are in part a “creation” of their pre-colonial and colonial past and their position in the contemporary world system, they are partially autonomous and act/make choices, in part, out of self-interest on the part of individual rulers and elite groups. Therefore, it is important to understand the agenda and imperatives (i.e. hegemony, sovereignty, accumulation/revenue and search for legitimacy) that drive state decisions. EQUALLY, important is the need to recognize the forces that lead domestic actors/groups to challenge existing regimes even to the point of armed resistance. Consequently, not all actions of African leaders or op-positional groups can be explained by the colonial and post-colonial global context. African leaders, elites, and their opponents, within historically determined contexts (beyond their control), act rationally in what they perceive to be their own best interests. As such, they have to be held accountable for actions (severe human right abuses, corruption) that they take out of crass self-interest. If we as educators take the time and make the effort to follow these suggested guidelines for teaching about African crises, our students will not only have a more comprehensive and objective understanding of crises in Africa, in so doing they will develop the skills necessary to become well informed and effective world citizens.